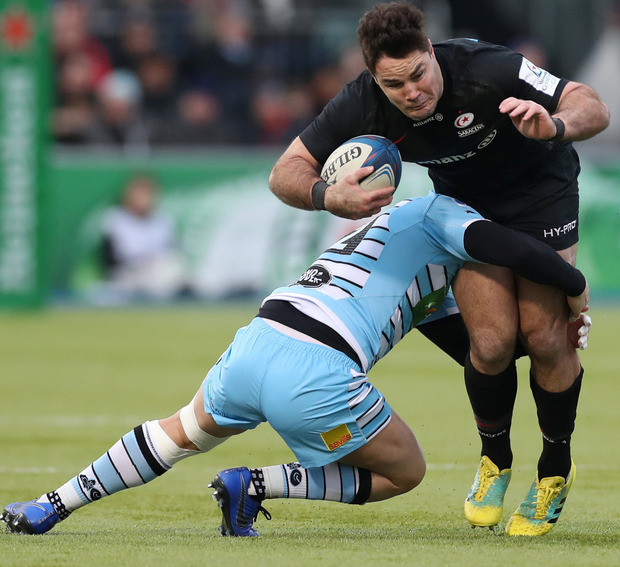 Mark McCall acclaimed Maro Itoje's barnstorming display as Saracens overcame Glasgow to qualify from the group stage of the Champions Cup as top seeds. Itoje scored the pivotal try in the 70th minute but that was merely the icing on the cake for the England second row who was magnificent as the Warriors were taken apart in the final quarter. "When we talked at half-time about improving our defence and being physical, the example Maro set was just incredible," director of rugby McCall said. "He ripped four balls in the air from some pretty good players and his overall contribution, especially in that second half, was extraordinary. His second-half performance was up there with anything you could see. "We attacked very well in the first half but our DNA has always been our kicking game and defence and those two things needed to be better in the second half. The team knew what needed to be fixed and they fixed it." Glasgow were hit by injuries to Scotland forwards Jonny Gray and Ryan Wilson that casts doubt over their participation in the Six Nations opener against Italy. 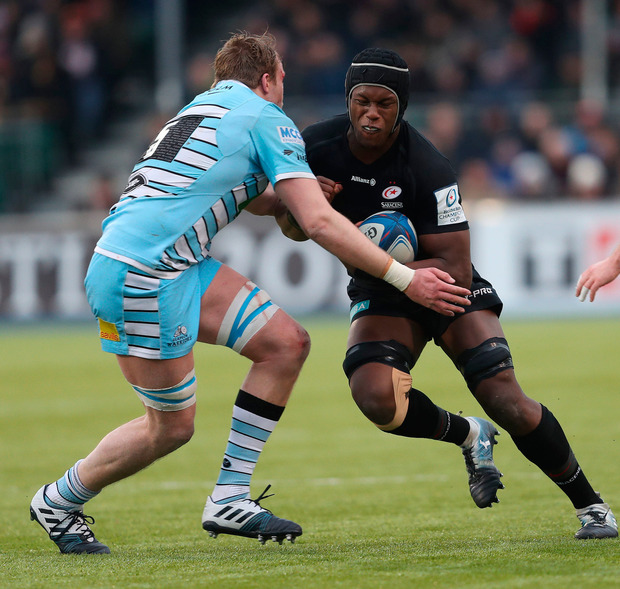 "Jonny's shoulder got really weak halfway through the first half," head coach Dave Rennie said. "Ryan hurt his shoulder as well - he took a knock late in the first half and it stiffened up at half-time. "Hopefully they're not too bad. They'll go into camp with Scotland next week and hopefully they'll be fine." 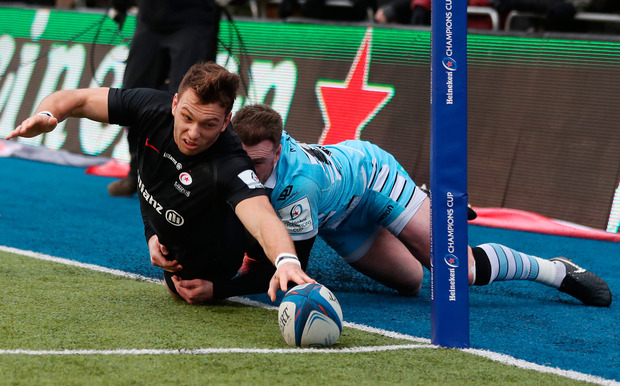 Glasgow trailed 24-19 after a breathless opening half-hour in which the sides scored three tries apiece, but it was Saracens who made the most of their chances in the crucial final quarter. "We played really well in the first 60 minutes. We put them under a fair bit of heat in the third quarter," Rennie said. "The attitude was great and we put them under a lot of pressure, but you have to turn pressure into points and we didn't do that after half-time. "In the last 15 to 20 minutes we kicked too much ball away to them and they hurt us. They're a big side so you have to defend well."